Leader in custom extrusions since 1977. Tower Extrusions has been an industry leader in custom extrusions since 1977. With approximately 730K square feet of under-roof manufacturing we are the trusted source for all of your aluminum needs. Our company has been built on a history of high quality aluminum extrusions. We have numerous standard dies, making many shapes available with no die cost. High quality handling systems and state of the art quench systems ensure a quality finish for every product we produce. Quality control personnel check each extrusion as it leaves the press and again before shipping to ensure customer satisfaction. 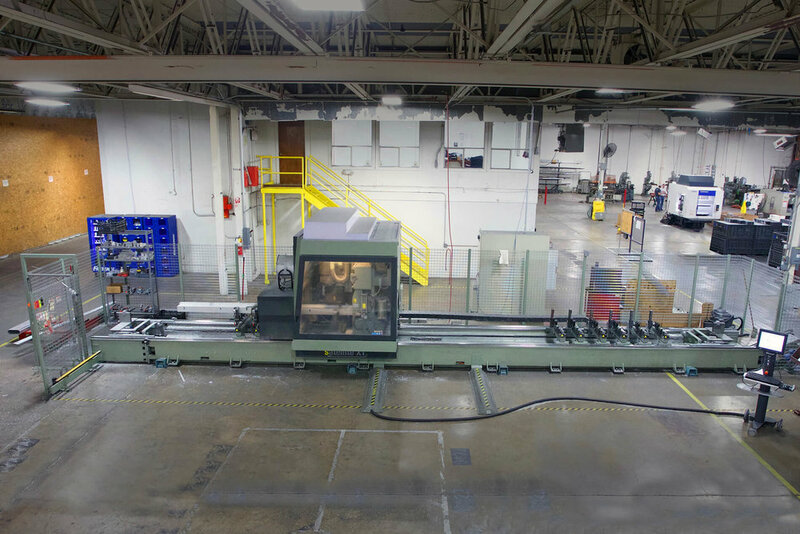 Our anodizing facility features a semi automated line with full automation capabilities engineered for maximum control and output. A large scale capability which features: 28 process tanks capable of providing lengths up to 38' 6", Capability to produce Commercial, Class 1, Class 2 Clear, 2-step color with 8,000 amps of available power for advanced coloring options and a state-of-the-art laboratory, water, and waste treatment facilities. With an annual capacity of 75 million pounds, our cutting edge casting facility allows us to create our own billets and control the product from end to end. This ensures that we maintain quality control from design through manufacturing delivery to the customer. The facility features: Wagstaff NuMax mold technology, an automated charging machine, automated skimmer, magnetic stirrer and can accommodate billet sizes of 6", 7", 8", 10", 12". We are a full service provider of fully fabricated aluminum extrusions for a wide variety of markets. Tower Fab offers the unique ability to source fabricated aluminum parts from an aluminum extrusion mill that is capable of performing every step of the manufacturing process. Our commitment to quality and customer service sets us apart from other suppliers. With our on-site access to: source materials, manufacturing and finishing, we trim lead time and costs. Tower Extrusions was started in March of 1977 with the purchase of the former Republic Aluminum Extrusion facility in Olney, Texas. Since then, Tower has expanded their operations to more efficiently serve an ever growing customer base. The original Tower Extrusions plant consisted of two extrusion presses and a re-melt billet casting operation. Tower today has approximately 730,000 square feet, of under-roof manufacturing facilities to include a state of the art cast house, 8 extrusion presses ranging from 6"-12" diameter billet, one of the largest production anodize lines in the United States, 24' wet and powder paint lines, and over 144,000 square feet of in-house fabrication.